Hisham Matar wastes no time in laying the foundation for a profoundly moving story about the loss of a loved one and the psychological impact it has on those they leave behind. “My father disappeared at the beginning of my school Christmas holiday, when I was fourteen”, says Nuri. Matar’s protagonist does not know if his father, who was abducted, is dead or alive, creating a void and longing that no one has answers for or can fill. Matar is a Libyan writer whose father was a political dissident and was critical of the Gaddafi government. He was kidnapped in Egyptin 1990, when Matar was 20. 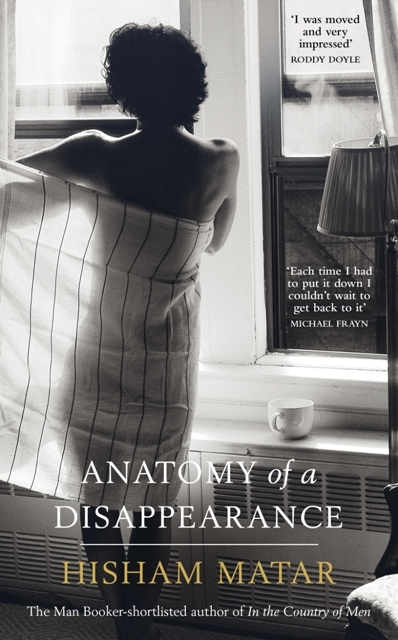 If one mistakenly assumes Anatomy of Disappearance, is a semi-autobiographical offering from the writer, whose debut novel, In The Country of Men, was shortlisted for the Man Booker Prize in 2006, then one could easily be forgiven also. Beyond the story of loss is the story of a young boy coming also going through the rites of passage. When Nuri first sets eyes on Mona, while on holiday with his father, in Cairo, she has a profound impact on him as a child and he quickly takes to her. However, it is Nuri’s father that Mona marries and soon a secret jealousy of his father builds up in the young boy, creating a rather uneasy relationship between all three – Mona, who is all too aware of what her presence does to the impressionable Nuri, his father, who knows his son is fond of his wife and Nuri, who keeps his secret guarded, or at least thinks he does until he is sent off to boarding school and confides in his room mate Alexei. Nuri soon learns that what used to matter, Mona is no longer of such significance without his father in his life. Matar paints a vivid story that leaps at you from the pages of his second offering. His use of imagery to juxtapose the bustling life in Cairo and a dreary existence in a Yorkshire boarding school is the kind some writers only dream of. His controlled, yet beautiful use of language is evocative. A poignant and timely offering from a writer who understands the Libyan narrative. This entry was posted on Monday, September 17th, 2012 at 4:41 am	and is filed under Africa, African Diaspora, Art and Culture, Book Reviews, Journalism. You can follow any responses to this entry through the RSS 2.0 feed. You can leave a response, or trackback from your own site.